Disasters leave a trail of destruction, casualties and ruined human lives. They can directly cause loss of life and injury, destroy cities, buildings, living and public spaces, and damage vital infrastructures necessary for everyday functions. 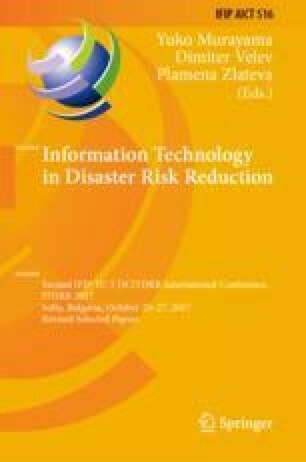 The aims of this essay are to present the research tool, in its on-going and yet undefined configuration, and at the same time for involving the many time ICT aspects and challenges of coping with disaster risk reduction and relief, definitely necessary in the operational and disseminating phases beyond the tool itself. Within the paper, along with the exposition of our idea in its actual form – which considers the possibility of further variations – we will present the reasons of the whys and reach to descript how we do believe the tool should be, passing through the other major issues like the who and the what. The tool is intended to be structured as the outcome of an applied research project, for creating a decision supporting instrument which will enable a broad range of relevant stakeholders to choose the most suitable sheltering solution, dwelling unit or machinery needed. The DiMaS Tool research project aims to present itself as a possibility for sorting and mapping already existing ready-to-use solutions, by specific parameters and characteristics, creating a taxonomy and a related system and expressing it in a universal and understandable language, through the ICT skills, in order to help choose the most adequate answer, managing the implementation and responsive process quickly and effectively. The research here presented and the concept behind this work is directly and equally divided between the two authors, and part of an on-going research featured with international partners.